True love’s kiss--every fairytale ends with just that. Ariel got her voice, Cinderella fit the shoe, Sleeping Beauty awoke. All of these girls were dependent on their true love to grant them the kiss of, well...life. It’s as if they were not complete without a man giving them the chance to live. Now, I don’t want you to think I am not crazy about all of these princesses, because trust me, I most definitely am. The point I am trying to make is that these women who were, throughout the entirety of their story, strong and independent, are unable to save themselves. Things start to go downhill, they encounter a problem, suddenly they need someone else to pick them back up. This is perfectly acceptable, as these stories are classic and clearly adored (with good faith, too). People need help from time to time, but why must it always be from their true love? Princess Anna, from Disney’s Frozen, had a completely different story to tell. Now, if you have yet to take your little ones (or teenagers; they’ll love it, promise!) to see this masterpiece, it is highly suggested that you do so. The film brilliantly captures the attention of the audience from the very beginning. The very essence of the film draws you in from the first second. 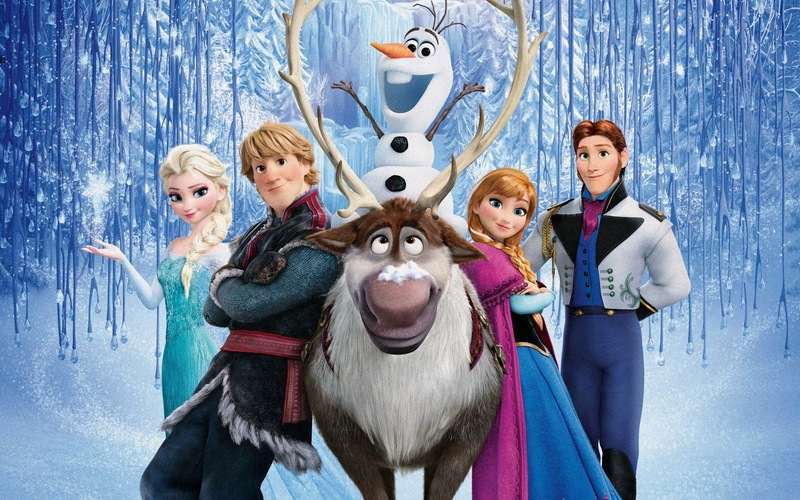 Before the magic of Elsa and Anna's adventure even has a chance to unravel, you will be swept away with the coloring and mere stature of the animated characters. In addition to the coloring and realistic figures that glide around the screen, the music they sing is utterly fantastic. The composition mixes with the voices and flows in perfectly with the movement and characterization in such a way that will certainly blow your mind. 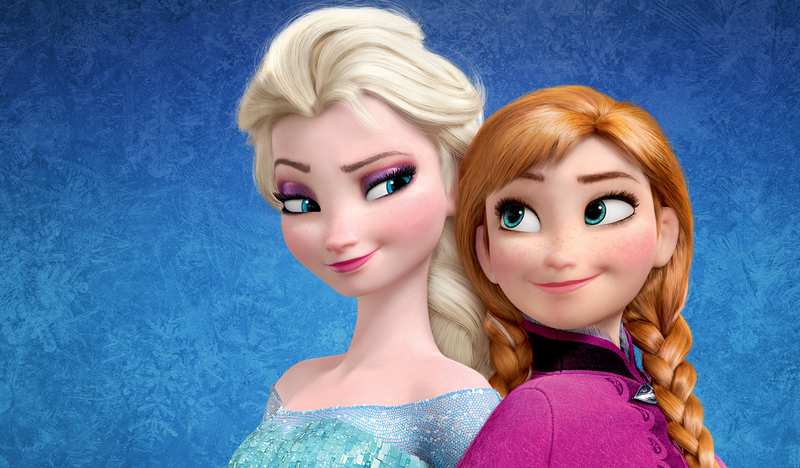 Elsa and Anna's story begins when they are very young. The two sisters enjoy playing with the snow that Elsa (the elder of the two) has the ability to create with her hands. 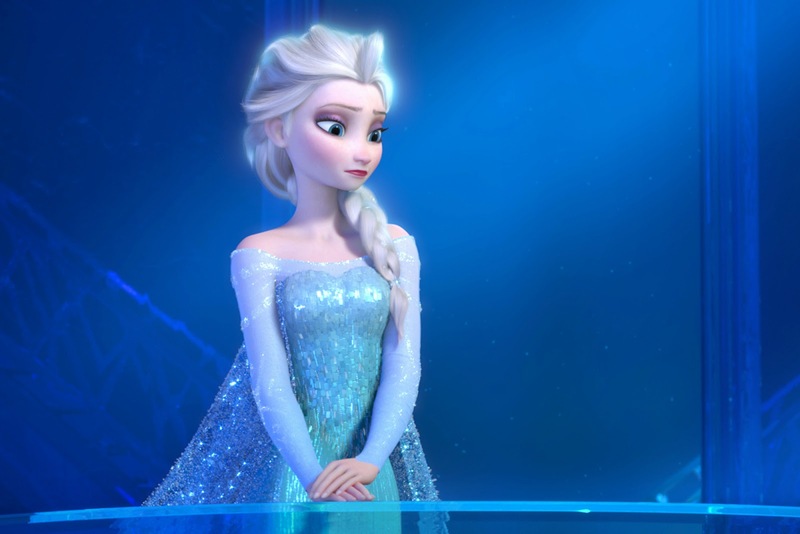 The song "Do You Want to Build a Snowman" centers largely around Elsa's unique power. Anna is highly fascinated by her sister and the ability she possesses. The princesses are very close, and in the beginning, enjoy each other's company. Because of the incredible animation, it is evident by their facial expressions and physical movements that they feel a great deal of love towards one another. This is, until a terrible accident regarding Elsa's snow creating power puts Anna's life in danger. The young princess is worried for her sister and shuts herself away until both girls have grown. Through the years, Elsa works to better control her power so as not to put her sister, or anyone else, in danger. The relationship between the two girls is beautifully portrayed and the development flows exactly as it should. As small children, they were close and expected to remain that way. As this did not happen, it is only natural that there be some awkward and uncomfortable tension between the princesses once they finally came together again. This is quite prominent when they do finally interact, after approximately fifteen years with very little (or basically no) communication. They warm up to each other, but not enough to mend their relationship before Elsa's power overcomes her again and she puts Anna, as well as a ballroom full of others, in grave danger. Anna met a man, Hans, that she planned to marry, and Elsa did not agree with her decision, resulting in an argument between the sisters that set off the overpowering of Elsa's ability. The princess flees the city, alone, to live in an isolated castle of ice that she created. Anna, always the adventurer, follows her sister to bring her back. Anna's adventurous personality struck something in me, similar to what I felt while watching Disney's Hercules. The flawless characterization of the character Megara from that film has a certain similarity to Anna. Both girls have an eye for fun and rule breaking, but can also fall in love and lose who they are in a matter of minutes. Meg and Anna both try as hard as possible to solve their own problems, rarely accepting help from others and standing up for themselves and what they believe in. The two quotes in both films that I find most relatable are the most famous Megara line, and one of her first: "I'm a damsel, I'm in distress, I can handle it" in relation to Anna fearlessly standing up to her sister in saying, "What did I ever do to you? Why do you shut me out? Why do you shut the world out? What are you so afraid of?" Both quotes, while wildly different in meaning and deliverance, ultimately have the same message: these women are strong and they want to be treated as such. As an avid Disney lover, I must say it was entirely refreshing to see a film such as this. While I’ve always loved the stories of Cinderella, Snow White, Sleeping Beauty and the like, I have always had a soft spot for the more strong-willed and independent women in the Disney universe. Anna and Elsa have been added to my collection of favorites, right next to Mulan, Meg, and Jasmine (Aladdin). I see these two as the more independent types for two main reasons: the first being their ability to make it through the entire movie without needing a man to fix their major problem. The second, tying into the fact that Elsa has no love interest at all. While Anna has a bit of confused-eighteen-year-old-girl syndrome throughout the movie and encounters two love interests, Elsa actually performs a number ("Let it Go") expressing her ability to live her life perfectly fine, alone and independent. 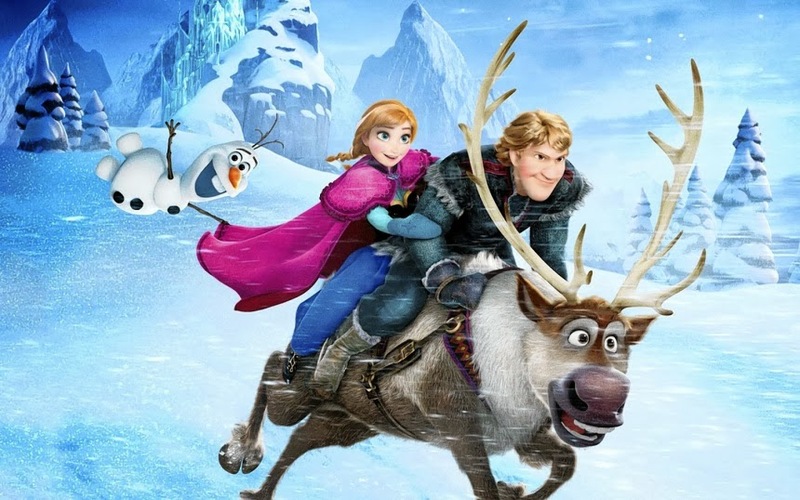 In the case of Anna's love interests, both Hans and Kristoff, her friend (and partner in finding and saving Elsa), are seen as simply that; a love interest. Neither of these men were put into the movie as a hero or savior of these girls. Elsa and Anna work better and can overcome seemingly everything with each other, more so than any other character in that film. This says so much for how far Disney and the film industry in general, has come, from showing the female characters as needing to be saved, now to portraying them as being their own Prince Charming. In the end, it purely came down to the strength of the relationship that Elsa and Anna had with each other. The bond between sisters is always there, whether you want to admit or embrace it. These two sisters did nothing if not embrace and strengthen their relationship throughout their journey. As it came down to Anna and Elsa's lives both being on the line, what these princesses did out of simple and true love for each other is much more than can be said for any true love's kiss. This movie made no effort to put a male character as the main hero, but left it up to the two women, and I daresay they succeeded beautifully. This is a whole new kind of magic that Disney brought into their films. Frozen allows these two sisters to take control of their lives, the unfortunate situation around them, and definitely the hearts of the audience.